And so it came to pass – and with the Lighthouse’s demise, a flash flood of sentimental pap in the popular press at the loss of this supposed world-class institution. After a few days, however, this fairly predictable outpouring of grief from obvious suspects had slowed to an almost imperceptible trickle, only to be replaced by rather more measured – and unsurprisingly widely held - views on the actual value of the Lighthouse to Scottish architecture. Of course, the grass is always greener from a distance, so it was no surprise to see the myths of the Lighthouse reflected in the pages of BD, the weekly architectural newspaper that, since its introduction of subscriptions, reaches practically nobody. Amanda Baillieu, the editor brought her full metropolitan attention northwards for a hysterical moment to suggest that it was (a) a world class building; (b) had built a strong constituency with architects and designers; and (c) had established a large public audience for its activities. Yes, she really was referring to the agoraphobics’ day centre in Mitchell Lane. Amanda of course has form on unworkable buildings (she’s big on the Holyrood Doocot for example) and clearly believes their very disfunctionality gives them global distinction, but she really got me giggling with her conclusion that the Lighthouse was the model for architecture centres that all others should follow. Best step aside to avoid the stampede, Amanda. But let’s go back to day one for a moment, or should I say the day after the night before when the Board of the Lighthouse Trust, having met, took its much-anticipated plunge into administration. The Herald’s Phil Miller put it succinctly, if a tad inaccurately when he reported that “ultimately the centre had been unable to recover from two financial blows last year – the cost overruns of a critically acclaimed exhibition in Venice and the cancellation of its architecture and design festival after the government withdrew its funding. These factors, coupled with the effect of the recession on commercial activities that were vital to its survival had resulted in a financial deficit of about £250,000.” In one short statement – the contents of which, to be fair to Phil, have been widely perpetrated by the Lighthouse itself – four interesting errors. Number one: the financial “blows” and the effects of recession are red herrings – the place was in deep financial doo-doo even before its current director, Nick Barley was appointed more than three years ago. Number two, the Venice “exhibition” was actually a pavilion designed by Gareth Hoskins Architects and whose name is being implicitly and unfairly attached to the huge cost over-run on the project. It wasn’t Gareth, after all, who sent a squad of young ladies at not inconsiderable public expense to Venice to send facile daily blogs back to the Lighthouse’s website for a week, nor was it his office that ineptly project-managed the pavilion’s construction and transportation expenditure. Clearly nobody remembered the Lighthouse’s Strategic Plan 2005-10 that, under the title ‘direction’, boldly stated that “recent experience has offered valuable lessons in project management that will be applied from 2005 onwards”. True, it didn’t actually vouchsafe what that experience had been, but one can only presume it was one of those things that senior figures in the professional community are now suggesting there should be no post mortem on. Three, the Six Cities Festival may have been seen within Tumbleweed Tower as “its” festival but the suggestion that by pulling the second incarnation of this wholly unmemorable and ineffective event, the Scottish Government had denied the Lighthouse a “guaranteed income of £2.25m” is smoke and mirrors accounting at its finest: turnover is not income and - had it gone ahead - most normal people might reasonably have expected the bulk of the dosh to be spent on putting on events in each of the six cities and not on clearing the Lighthouse’s considerable debts. Four – and despite Board chair Eleanor McAllister’s assertion that “the extra income needed from rents, grants, conferences and events just did not materialise as businesses, organisations and charitable trusts cut their activities when the credit crunch hit” - it wasn’t the recession that adversely impacted upon the Lighthouse’s commercial activities: it was widespread dissatisfaction amongst those who had used them and who had elected not to do so again. If I’ve heard it once, I’ve listened umpteen times to experienced conference organisers tell of their dissatisfaction with the service they’d received and the costs to them for the privilege of using the Lighthouse facilities. Yet one of the priorities listed in the Lighthouse’s Strategic Plan for 2005-10 was for it “to become the market leader in creativity and innovation by offering a venue and network hub that fosters the aspirations of tourism, creative industries and the wider business community, and to maximise commercial income streams by harvesting and marketing the Lighthouse’s physical and intellectual assets to corporate and public sector partners and other potential sponsors.” Sharp-eyed readers will already have noted the absence of any mention of architecture and design in those aspirations. “Commercial income streams” is in any case a bit of a misnomer since the Lighthouse didn’t really operate within the normal competitive world when it came to selling its services. But then it had never really needed to do so with any great imagination or zest, its open paw having been superglued onto the hand of public funding from the moment it opened its doors in 1999. That said, the same Strategic Plan mentioned above listed amongst its financial targets “the need to increase existing commercial revenue streams by 10% over the next 5 years at 2% per annum; to attract £100,000 per annum in income from membership and network activities; and to attract £50,000 per annum in income from consultancy services”. Unequivocal you might think, yet the failure to achieve – or even spot the failure to deliver – a single one of these annual targets between 2005-08 strangely doesn’t seem to have featured in the Board’s recent press statements, most of which have sought to cast blame in every direction but its own or the staff’s. Other targets set in the Strategic Plan seem to have similarly escaped the Board’s attention over the past few years, for example, “to deliver high quality finance and administration systems that underpin the Lighthouse’s core functions” or “to develop a fundraising/sponsorship strategy for an endowment or similar fund to sustain the longer-term maintenance of The Lighthouse and its programmes.” Most of the document’s Key Performance Indicators seem to have been given a body swerve too, so much so that you wonder if any of the Board members were even aware of the existence of the Strategic Plan. 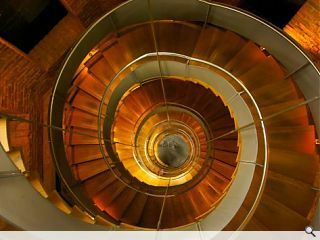 One thing they might have been expected to notice though, was the exit from their midst of the Scottish Government’s Chief Architect, himself the indirect source of a third of the Lighthouse’s annual income. If ever there was a signal of a sharp change in external economic and political circumstances this had to be it, but sheltered up a lane from the realities of the outside world, the Lighthouse’s Board and staff didn’t seem to register the elegance of his sidestep from direct Board responsibility to an advisory role only. All this on top of comments from earlier in the week - Malcolm Fraser, for example, accurately opining that: “The business model of the Lighthouse has been flawed. The centre has become a beast that has needed things created to feed it. Clearly that is not a good model.” By Sunday he was urging the Scottish Government to use the opportunity to create a new institution: “there is a baby that needs rescued from the bathwater. The bathwater is a building and an unsuccessful business model. The baby is the need for a fresh architecture champion that will engage the public.” The only problem with Malcolm’s analogical progression from beast to baby is that the Lighthouse was no longer cherubic (if indeed it ever had been): it had become a spotty, irresponsible adolescent always on the lookout for more pocket money from its parents. Which brings us neatly to where we go from here. Having been kicked out of the house by mum and dad, the Nintendo kid still wants them to keep a room for him in the house, for what else are we to make of Eleanor McAllister’s plea for a downsized architecture and design centre within the Lighthouse building? Unsurprisingly, this idea has failed to draw any support whatsoever from the architecture and design world in Scotland, but nobody yet seems to have had the courage to tell Ms.McA to get over it and move on. The country may well need an architecture centre (and it could have had ten smaller, regionally distributed and thriving ones for the money that was spent on the Lighthouse) but why it should be up a dark lane in Glasgow is not a question she appears ready to confront. Put simply, the Lighthouse had no divine right to exist and having failed over a complete decade to build a solid constituency for its activities or come up with a credible business plan for same, it seems fairly unlikely that last minute notions of salvation will be dropping through PriceWaterhouseCoopers’ letter box. Already there is talk of the proposed V&A on Dundee’s waterfront delivering a fully-fledged contemporary design museum for the nation, and if so it is not inconceivable that a workable architecture and design centre could be developed around this base. Communicating architectural issues, however, is – and has always been - the real challenge and one that the Lighthouse never bothered to take on properly, always regarding the touchy-feely end of the environmental education spectrum as its raison d’etre. And if you think this a cruel judgement, ask yourself this: is there a single architectural practice in Scotland (apart from the small handful of Glasgow-based offices that received all of the Lighthouse’s exhibition design commissions) that today feels seriously disadvantaged by the loss of the Lighthouse? Sadly, as a measure of a decade’s existence and the consumption of more money than has ever before been thrown at the promotion of Scottish architecture, it’s not much of a result. But let’s not finish there - mercy me, no – this story has too many twists for us to leave before the denouement. Boldly stepping from left of stage and onto the Herald’s letters page this week was one Alan Wilson, formerly an MSP and one of the previous Labour administration at Holyrood’s seven entirely forgettable architecture ministers (go on, aside from the first incumbent, Rhona Brankin, name one other). Alan was keen to remind us that in 2001 he committed £300k per year for three years to the Lighthouse and went on to demand that the current administration should do at least the same. 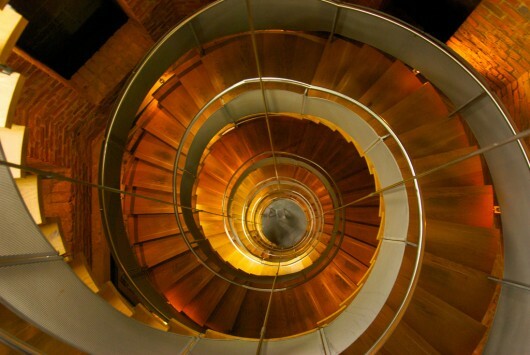 Unfortunately, as only a novice member of the aforementioned magic circle, Alan confuses the need to promote Scottish architecture and the issue of the Lighthouse’s retention. Sorry Alan, they are not one and the same and like Eleanor, you need to move on. In any case – and trumping Alan’s hoped-for political comeback card - the current incumbent of the shadow culture slot on the Labour benches at Holyrood, one Pauline McNeill MSP, materialised from nowhere onto the Herald’s letters page a few days later to insist Mike Russell, the Scottish Government’s Minister for Culture, External Affairs and the Constitution commit £1m to the Lighthouse “to give it a chance of survival.” I’m not aware of Pauline having ever before expressed an interest in architecture or making a single comment on the subject, but from her web page she appears to be a strong supporter of minority groups, and they don’t come much smaller than Eleanor McAllister’s magic circle so I guess she feels this one falls within her interest area too. But seriously Pauline – have you ever actually been in the building? What would you actually spend the £1m on? Or is this maybe just a wee bit of political posturing, knowing that you don’t have to do anything about it yourself and that the money doesn’t exist for anyone else to do so either. Whatever the answers, one thing is clear – in the strange political wonderland that exists before the announcement of election dates, the stakes are being ramped up. If this unusual level of political interest can be sustained until election time, I feel a strong certainty we’ll actually see some manifesto promises from some of the parties on the future promotion of architecture and design in Scotland. Whether by then there will actually be any public money left to buy as much as a copy of Blueprint remains to be seen, but for the moment we can but hope that something substantially better emerges from the ashes of the Lighthouse. Ol’ Combover’s being naughty again, going off and securing outline planning permission for bits of land he doesn’t actually own up there on the dunes of Menie. It’s a bit troubling given that he’s already irked the owners of said land by threatening compulsory purchase orders if they don’t sell to him and move on. As usual, the good councillors of Aberdeenshire have rolled over for Combover and step by step are doing their bit to make sure the Donald’s new town materialises from some very murky mists. The world now awaits the masterplan that the Trump Organisation commissioned from Gareth Hoskins Architects to see how critical the few houses in question are to the overall success of the scheme. For their part, the worthies of Aberdeenshire Council have evidently already made up their minds - not that this should come as a surprise to anyone who’s been reading the Wrap over the past year. After all, in the Aberdeenshire Council Chamber money not only talks, it speaks the Doric too.